There are many family heirlooms, beloved pieces, and other special items that are passed down from generation to generation. 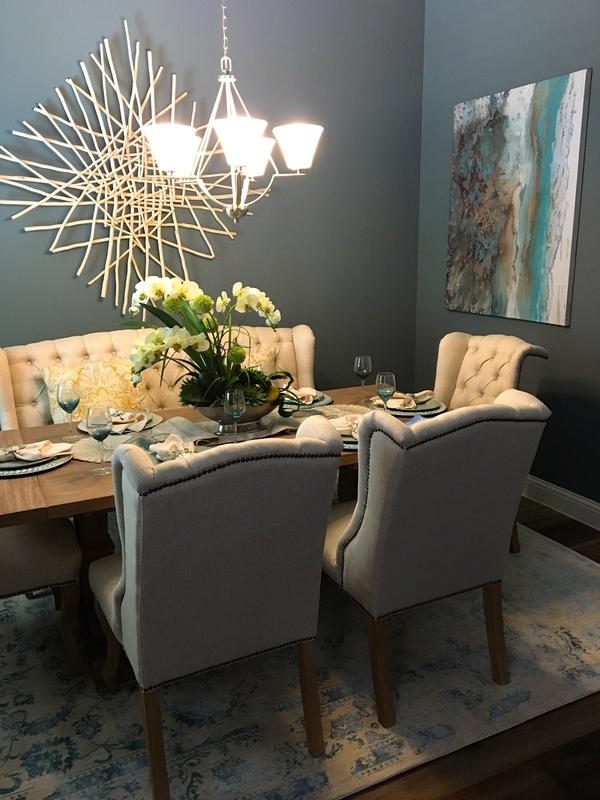 We reminisce of days that were spent on our favorite timeless piece with family members or ensure the perfect selection of a different piece for a new home’s charm. Either way, a very special part of any design begins with the rug. So how do you know when it’s best to save a fiercely loved yet somewhat dated rug? Does the design style still work with modern day technology? What’s the best way to know you’re getting a quality rug for a good price? Knowing how to work with a designer to utilize and select the perfect rug is key to any project. 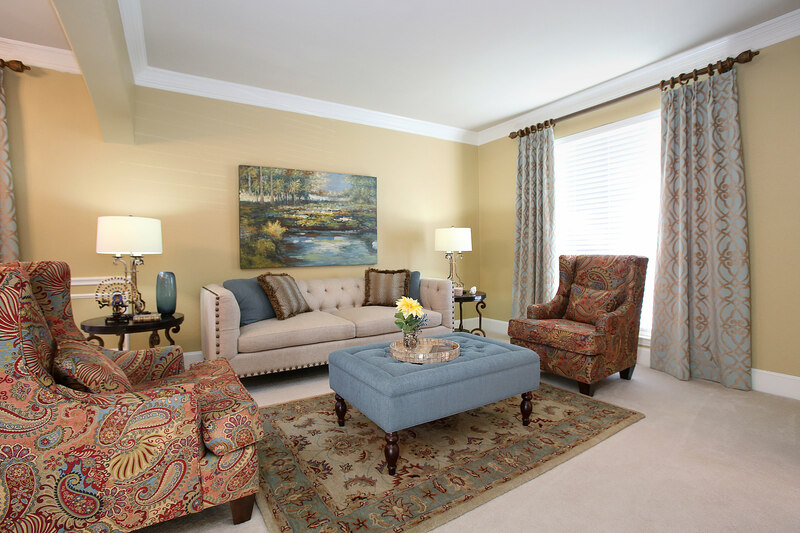 Factors such as style, combination, and construction can affect the overall quality and feel of a room. In an age where technology is driving the modernization of the world we are seeing more and more clients requesting updated design styles that incorporate existing pieces. 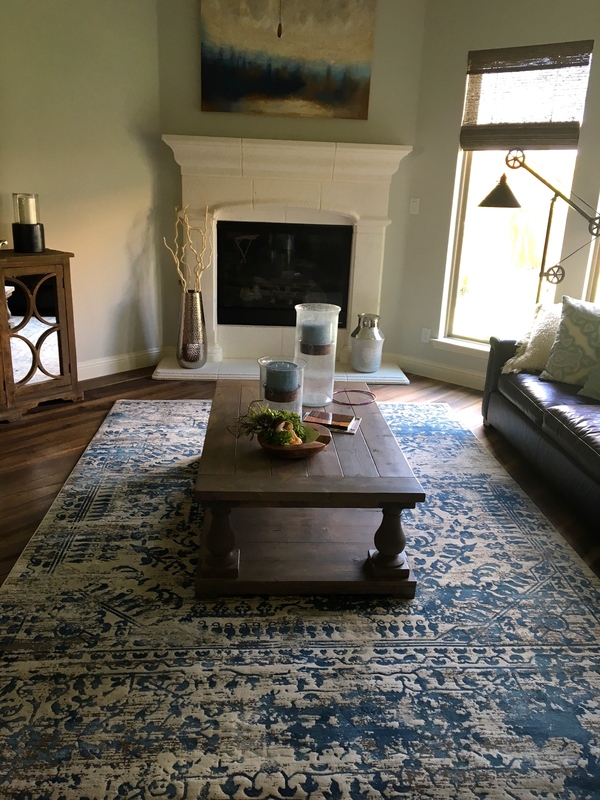 Rugs are one of the most common pieces we are asked to reuse and oftentimes they are very traditional in design. In order to incorporate them into a modern design we pair them with furnishings that have clean lines and simple fabrics. 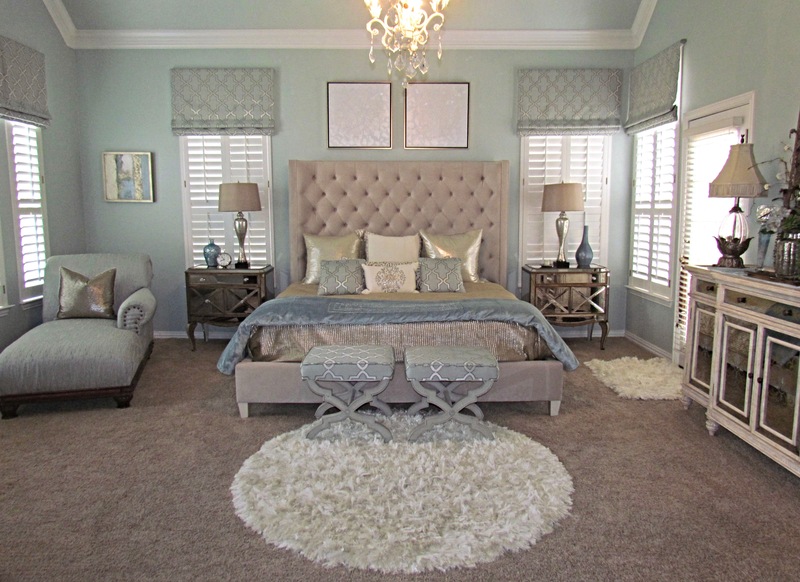 Accent color can be added on furnishings and accessories by borrowing from the rug’s overall color scheme. Just because something is old doesn’t mean it has to look old. Don’t be afraid to use color to your advantage. When combined in the right way, bold pops of color create an artistic focal point. Brightly colored rugs can be used as horizontal art to turn every room in your home into a gallery of rare pieces. 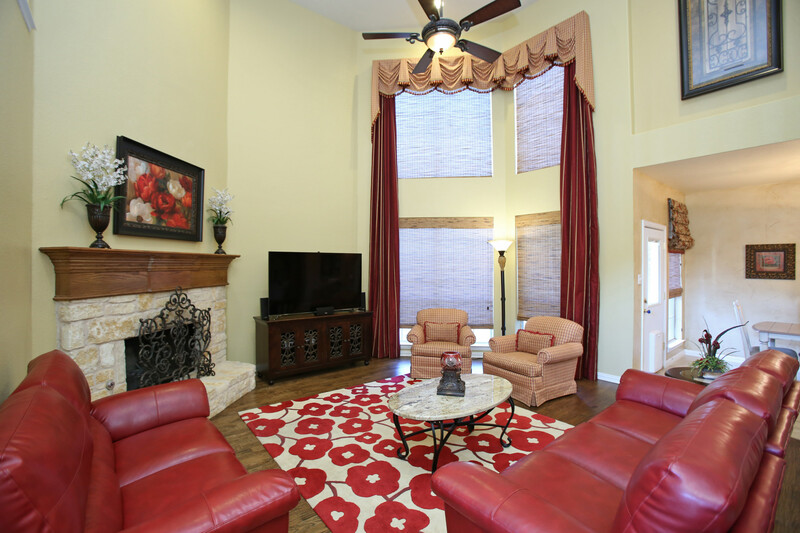 Bold rugs can bring more of a transitional look in a space that has more traditional lines. Large rooms often stump our clients; on one hand they love the wide open spaces but don’t know how to maximize the layout for the many tasks that occur in the room. These rooms serve several purposes and can be used separately or in conjunction with each other. 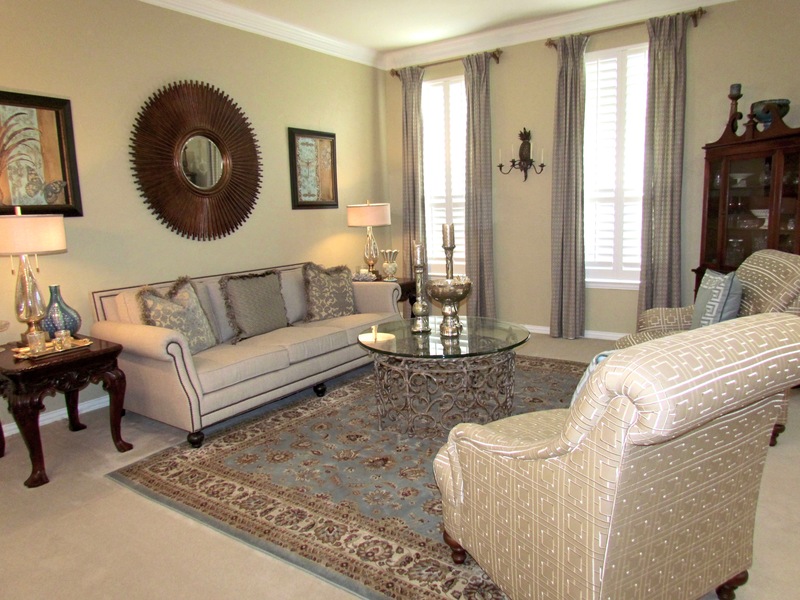 Utilizing rugs to create a grouping within a larger overall space creates a sense of purpose and continuity. 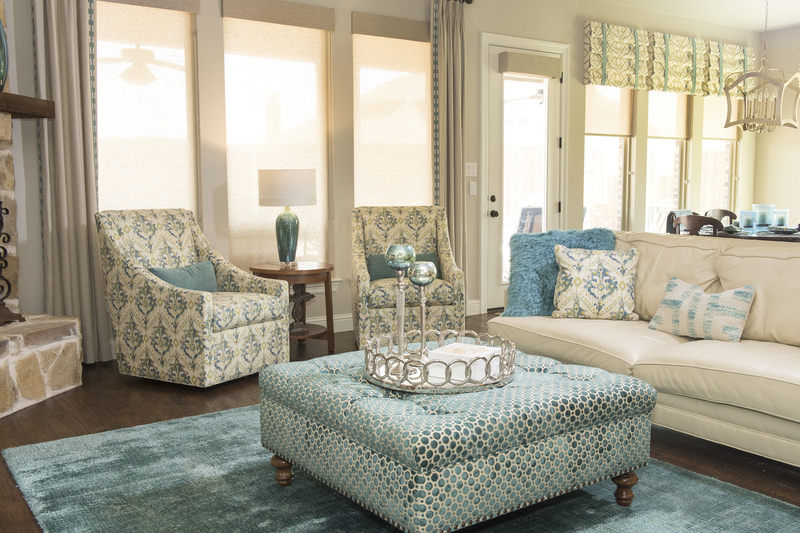 Combining rugs in a space doesn’t always mean that they are separate from each other. Layering a sisal rug under an animal hide is a popular way to get the best of both functions. The larger standard shaped sisal rug protects the floor and provides an overall continuity while the hide serves as an accent. Long hair hides can come in various shapes and sizes for unique installations. The natural materials of these products are environmentally friendly and safe for the home. Not in the way that you’d expect it to though. I’ve heard many clients claim that they’ve got this great rug but it’s too small (or large) for their space. Somewhere out there someone stated that in order for a rug to work it must run underneath the furniture. This is not always true! The function of the rug should be determined first. If it’s intended use is to work similar to carpeting, then yes, you’d want it to run underneath the furniture throughout a majority of the room. However, if you’re seeking to use it as an accent in the space you can simply place it slightly under the front legs of the furniture and create a small grouping. 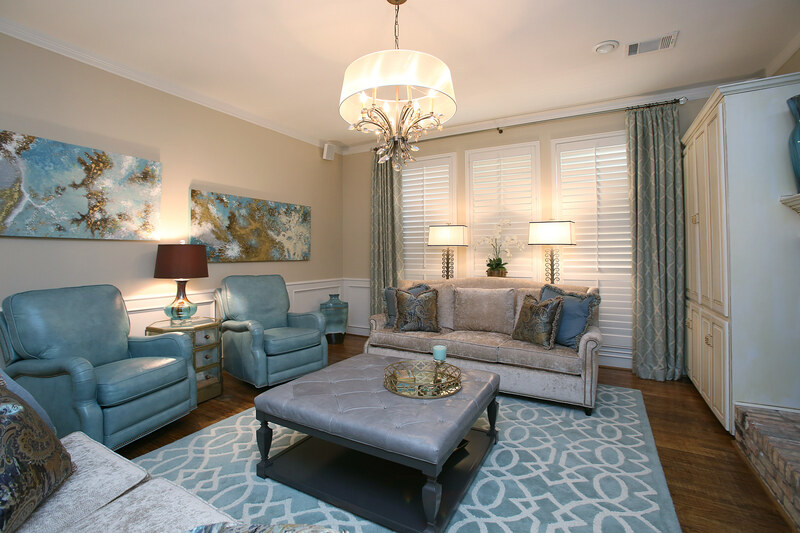 Factors large and small contribute to the successful use of a rug in any given space. Designers are uniquely equipped and educated to guide you through the process and provide you with the perfect rug for your project. Working together and knowing all the factors can create a great amount of success!